Tony Stark: (nods and smiles briefly, his expression somewhere between angry and sheepish) Yeah. Takes us a while to get any traction, I’ll give you that one. But let’s do a head count here. Your brother, the demi-god (Loki grimaces and begins pacing); a super soldier, a living legend who kind of lives up to the legend; a man with breath-taking anger management issues; a couple of master assassins; and YOU, big fella, have managed to tick off every single one of them. Captain America: Are you nuts? Natasha Romanoff [shooting the attacking Chitauri]: This is just like Budapest all over again. 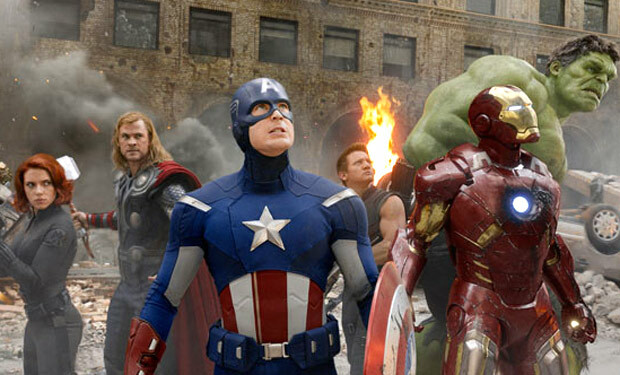 Maintenance Man [as the Avengers climb aboard the Quinjet to fly to Manhattan]: Uh… You are not authorized to be here!